If you are unfamiliar with the concept of an API call or how they are counted, this article will give you a good overview. 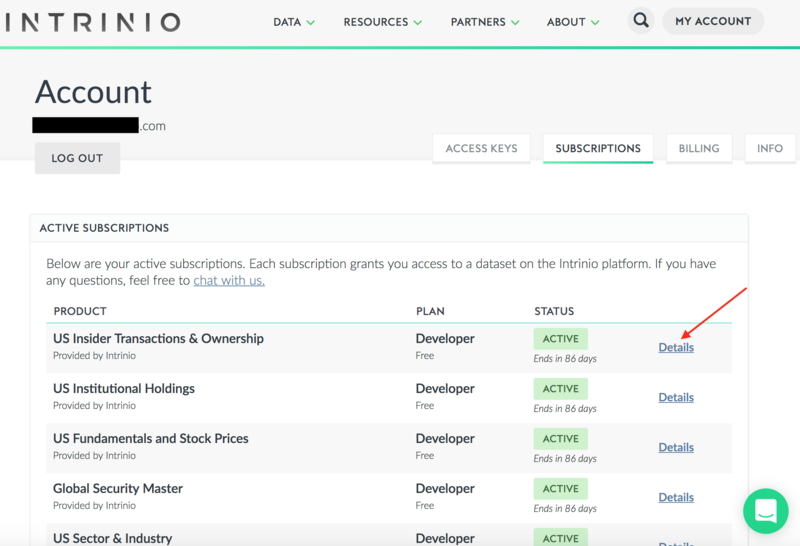 Most Intrinio data feeds have daily API call limits. Paid plans have higher limits. If you hit the limit of your plan, you will not receive data until your daily limit resets at 12:00 midnight, Eastern Standard Time. You may see an error in Excel or via API that you have exceeded your limit. Upgrading to a higher paid plan will give you more access, however you may want to keep an eye on your usage so you know how much you have used. You'll be prompted for your API keys, you can copy them from your account page. 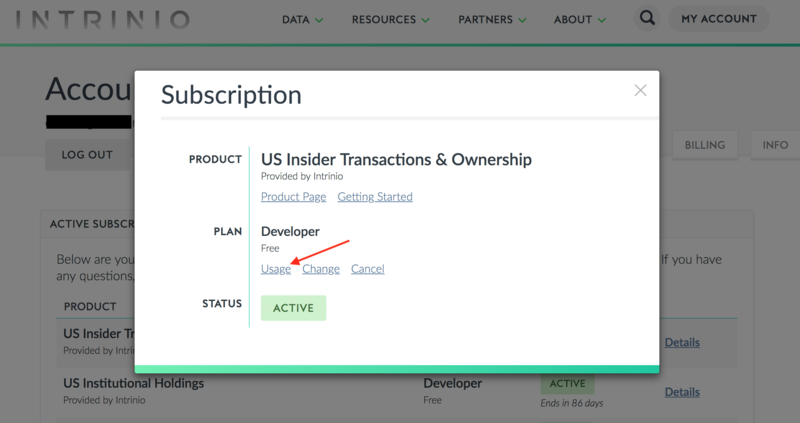 That URL will show you your subscriptions and your daily API call limit. Just swap out the access_code for the data feed you want to check. Once you're in your account, click the "subscriptions" tab. Here, you can see all of the data feeds that you're subscribed to. Click "Details" next to the data feed you'd like to check your usage for. Once the pop-up opens, click on "Usage"
Once you click "usage" you will see a graph showing your usage by day.